I was craving something refreshing to eat for dinner, but wanted something that didn’t require much work at all. 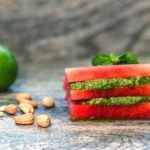 I love the play of sweet and savory, so I figured I would use watermelon as the main part of my meal. Since mint and watermelon go so well together, I decided to make a mint pesto to go along with it. It’s an instantly addicting combo! 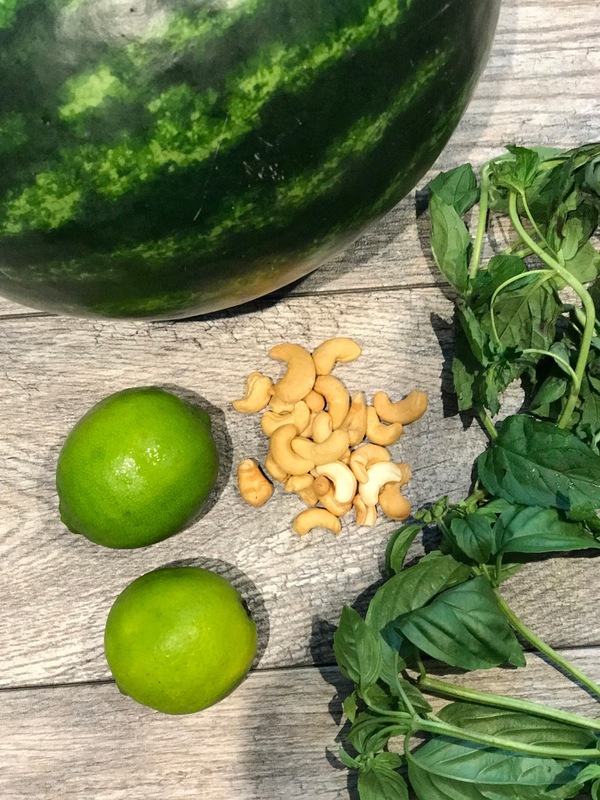 Blend together all the ingredients into a pesto sauce and spread it on each slice of watermelon and enjoy! I used nutritional yeast in the pesto, so this is vegan. Blend all the ingredients except the watermelon. Add more oil if needed. Cut the watermelon into three 4 inch squares. 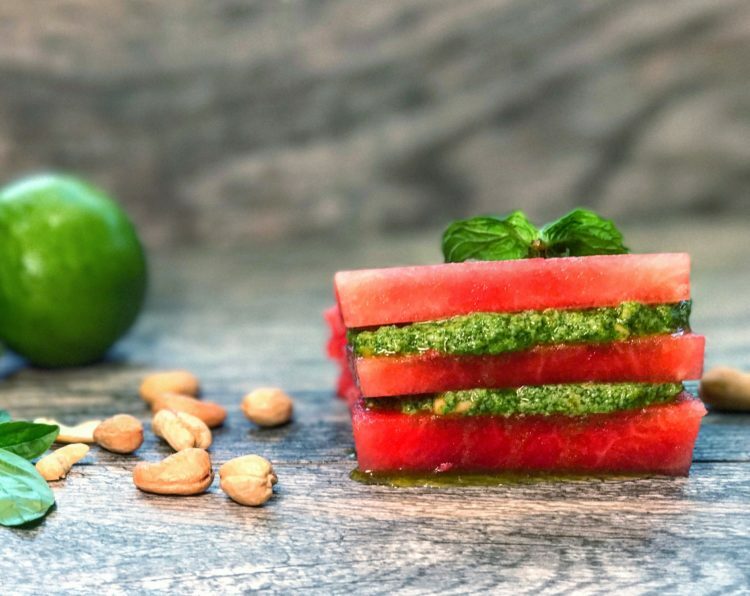 Layer the pesto in between the watermelon slices. Finish off with a squeeze of lime. *NOTE: For a party, you could cut the watermelon into 1 inch squares and serve it with a fancy pick in it.